The city's North Side faces a potential travel nightmare ahead of the sold-out Mumford & Sons concert at Cricket Hill near Montrose Beach Wednesday evening. JAM Productions, the promoter for the Uptown show, encourages concert-goers to ride a bike or rent a Divvy to get to Montrose Beach as there will be no on-site parking for the roughly 35,000 people expected to attend. The first 4,000 cycling commuters can take advantage of free bike valet, and additional bike parking spots will be available. The closest CTA train stations are the Wilson Red Line and the Montrose Brown Line stops. The No. 78 Montrose bus, No. 81 Lawrence bus and No. 146 Inner Drive/Michigan Express bus will also drop off fans near the concert venue. 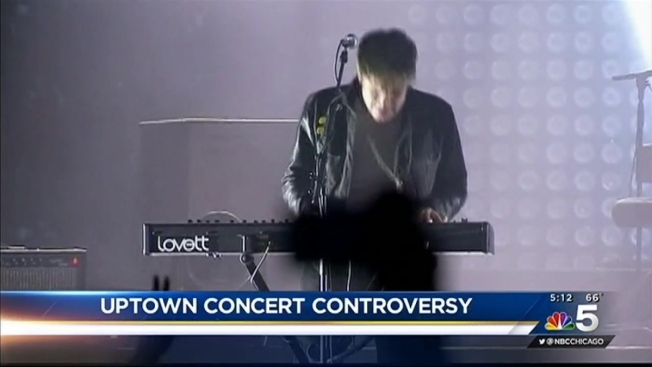 Uptown residents expressed their concern about the noise and traffic congestion ahead of the concert, but the concert promoter and the city of Chicago forged ahead with their plans for the show. In an interview with Rolling Stone, frontman Marcus Mumford said for their third studio album “Wilder Mind” they stripped down their standard banjo, acoustic, kick drum sounds and replaced them with an electric feel of guitars, synths, mellotrons and drum machines. “Wilder Mind” was released May 4. Concert-goers are allowed to bring non-professional and disposable cameras, small backpacks or purses, fanny packs, one sealed water bottle less than 32 ounces, blankets and strollers. Prohibited items include lawn chairs, outside food or drink, umbrellas, selfie sticks, Go Pro sticks, balloons, coolers, glass bottles, cans, large bags, Camelbak water bottles, pets and professional recording devices. Gates open for the concert at 3 p.m., and the show is scheduled to begin at 6 p.m., rain or shine.